The village of Mikindani, near Mtwara, southern Tanzania. 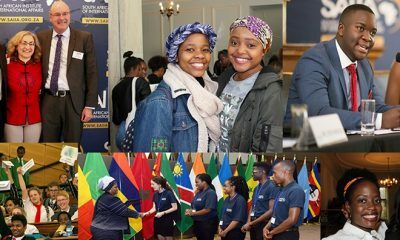 Following our beautiful photo report from Botswana, we offer you another look behind the scenes at SAIIA’s work in the field. 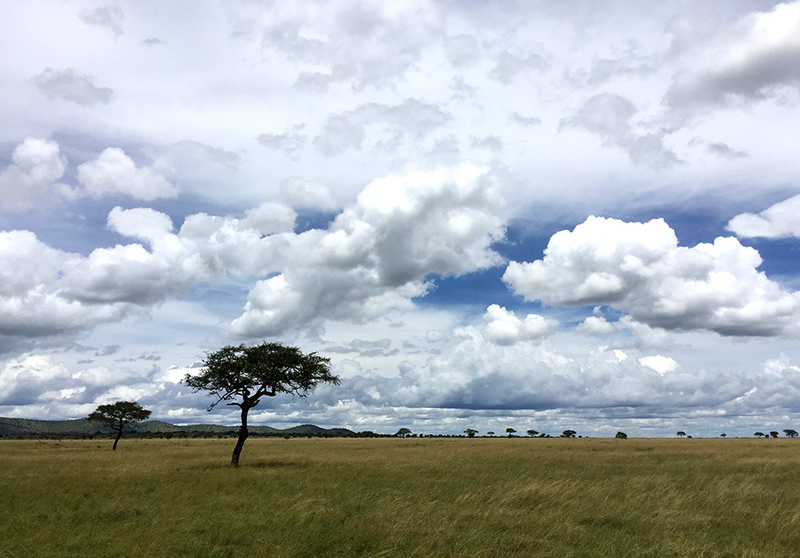 Join researchers Romy Chevallier and Ross Harvey as they travel to Tanzania to investigate small scale mining and sustainable management of the country’s forests and wildlife. View more photos from this research feature on Facebook. We took off from Cape Town to Tanzania earlier this year on a research scoping exercise. The flight to Dar Es Salaam consumes roughly eight hours, and is about enough time to acquaint oneself with the state of play in Tanzania. This is especially true if you have decent literature on hand, which we did. The Chatham House report released this year is an excellent introduction to the country’s political economy landscape, focusing in on the 2015 presidential elections and the recent Zanzibar dispute. At a macro level, economic growth rates are enviable in the context of global stagnation, and these occur in a context of relative peace and stability. There are, however, deep structural challenges to a pro-poor, inclusive future. The growth is of course welcome, but it should not generate undue optimism for the following reasons. First, the growth is fast off a low base. Second, it masks continued poverty and inequality. Third, upper secondary school enrolment is among the lowest on the continent at 4% and education outcomes are weak. This means that a growing economy is likely to run out of steam when it cannot find the skills it requires. Related, then, and fourth, is a demographic challenge – by 2050, Tanzania and Ethiopia will have the largest populations on the continent. 45% of Tanzania’s population is already under the age of 15, which means that if school enrolment rates do not improve, and the quality of education isn’t simultaneously addressed, youth unemployment is going to be particularly acute in Tanzania. Politicians are especially good at employing populist rhetoric to tap into the vein of resentment that often pops up in situations like these. Sixth, 83% of the country’s tax revenue is generated by only 18% of the formal economy (mostly foreign firms). There is therefore a pressing need to broaden the tax base. It does not help business-state relations that there is a tax dispute raging between the Tanzanian government and the Acacia mining company – Acacia is one of the few large foreign players that the government relies on, but is accused of paying dividends to shareholders overseas but declaring no profits in Tanzania and therefore avoiding tax. 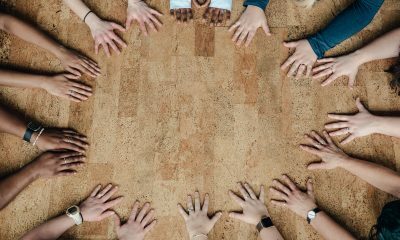 While it is important to resolve these issues, the reality is that more tax from a small number of players will not solve the structural challenge. One of the key recommendations from the Chatham House report is that the government should seek ways to attract greater amounts of private sector investment into every sector. The Katanga Ferry crossing is a beautiful sunrise-watching experience, and gives you an idea of just how large Lake Victoria actually is – the 2nd largest in the world, at 68,000km2. In respect of the above, then, our task in Tanzania was twofold – to gather information and undertake a series of interviews to better understand artisanal mining (Ross), and the sustainable management of terrestrial and coastal areas, especially in light of improving community resilience to climate change (Romy). 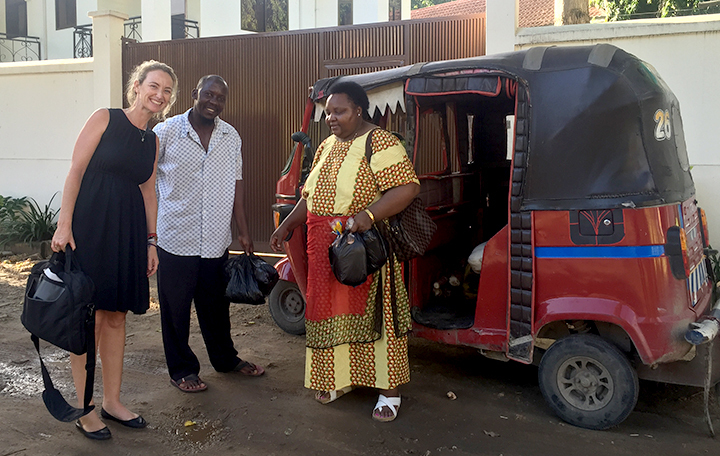 We spent a few days in meetings in Dar Es Salaam together before Ross took off to Mwanza for field research, and Romy headed to the Ngorogoro Crater. We then met up in Arusha again before heading back to Cape Town. Artisanal mining constitutes a vast ‘hidden economy’, to use the World Bank’s terminology. 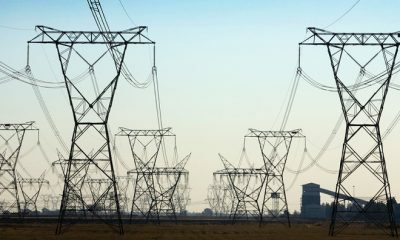 For at least a decade, Tanzanian authorities have been asking how they can formalise this sector, which sustains the livelihoods of roughly half a million people. The primary reason is that increased formalisation would mean an immediate broadening of the tax base, and hopefully a reduction of the negative health, environmental and social externalities associated with informality in the sector. Economically speaking, negative externalities are the divergence between social costs and private returns. Informal gold mining, for instance, contributes to deforestation (for timber to strengthen shafts to underground pits), introduces difficult social dynamics, and the widespread use of mercury for extracting gold has direct (poisoning) and indirect (water contamination) health costs. While gold provides the majority share of informal mining, there is also extensive diamond and Tanzanite mining. Attempts at formalisation thus far appear to have been unfruitful. My job was to understand the barriers to formalisation. Generally speaking, policies fail to gain traction either because political losers constitute a barrier to economic development, or because policy advice is incentive-incompatible with the distribution of political power. 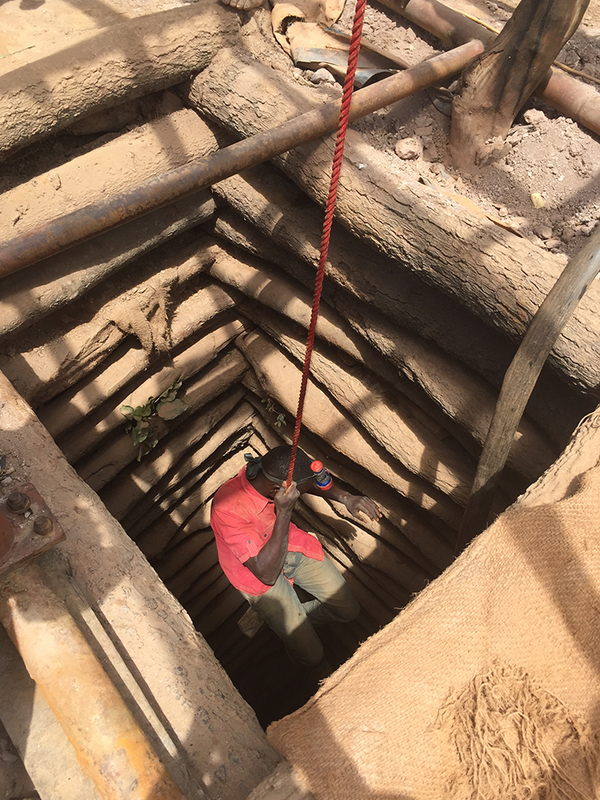 Policymakers also need to acknowledge, however, that artisanal miners are likely to resist formalization efforts if all they perceive is in it for them is the opportunity to pay taxes. 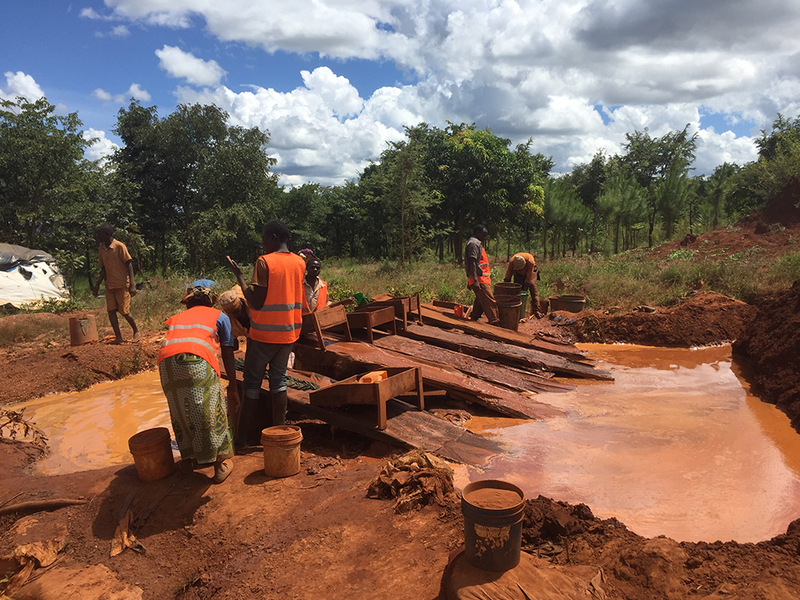 Formalisation offers costs and benefits, and the trick is to generate the optimal set of incentives to move informal miners in that direction. One mine we visited was Nsangano, a small-scale operation that is highly formalised in terms of the government’s grading system. The owner, Mike, and his brother, Ethan, took over the mine from their father, who had managed to find a way of getting a primary mining licence. They now have a mining licence, which is a step up from a primary mining licence. The primary benefit of having a licence, of course, is that external investors are more likely to show an interest. However, this business requires serious technological and safety equipment/training investment upgrades if it is to become anything more than small-scale. Our second research theme, and its link to sustainable livelihoods and conservation, is a subject of great importance in Tanzania. 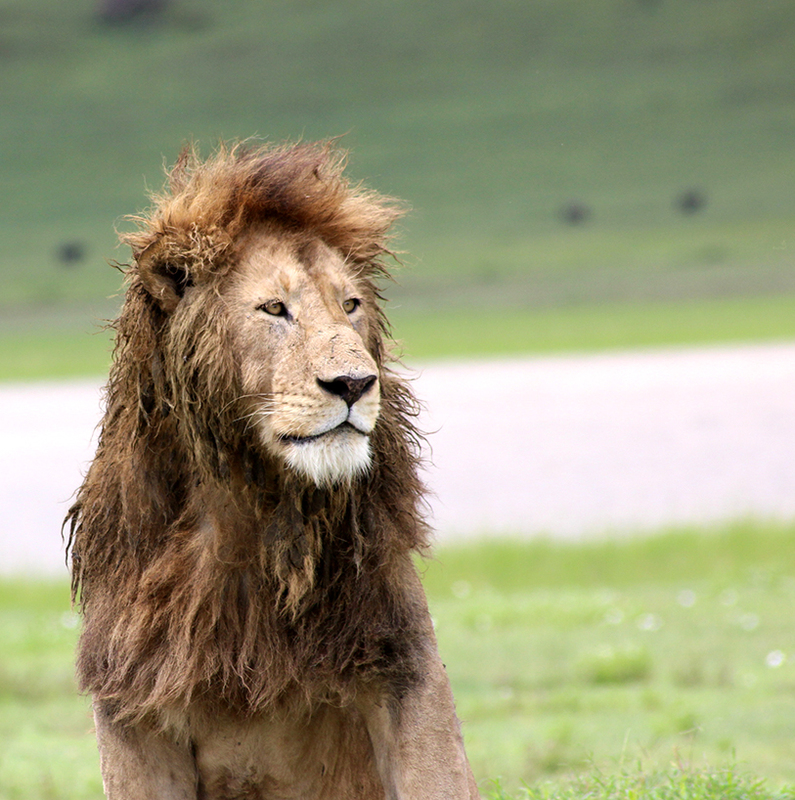 Although Tanzania has vast areas of land under protection – from the Serengeti National Park to the Selous Game Reserve – experts reckon that approximately 60% of the country’s wildlife lives outside these areas. The protected areas are too vast to fence, and fencing is often ineffective in any event. In the last seven years, an elephant poaching epidemic has swept through Tanzania with Selous being the worst hit, and about 50% of the total elephant population has been decimated. This is attributable to a number of factors. For starters, the risk of detection for poachers is relatively small. To make matters even more complex, the web of corruption between officials, poachers and smuggling syndicates has become deeply embedded and hard to challenge. Finally, the ports of Dar Es Salaam and Zanzibar are among the most porous in the world, making it a safe conduit for shipping large quantities of ivory to the east. Traditional approaches to poaching struggle to contend with the scale of this problem. And even if we solve the poaching problem, rapid habitat loss poses as deep a problem to wildlife conservation as poaching itself. This is why conservation organisations have increasingly emphasised ‘landscape preservation’ and recognized that local communities are key to any lasting solution. In this respect, while we were in the country, Edward Loure – a Tanzanian community activist – was awarded a Goldman Environmental Prize for his work with Edward Lekaita and their Ujamaa Community Resource Team (UJRT) in securing community land rights for the Hadzabe tribe in eastern Tanzania. Community land rights are a novel means of preserving landscapes. They differ from traditional approaches to community based natural resource management, which usually exhibit some form of partnership between a private sector tourism operator and a community trust. 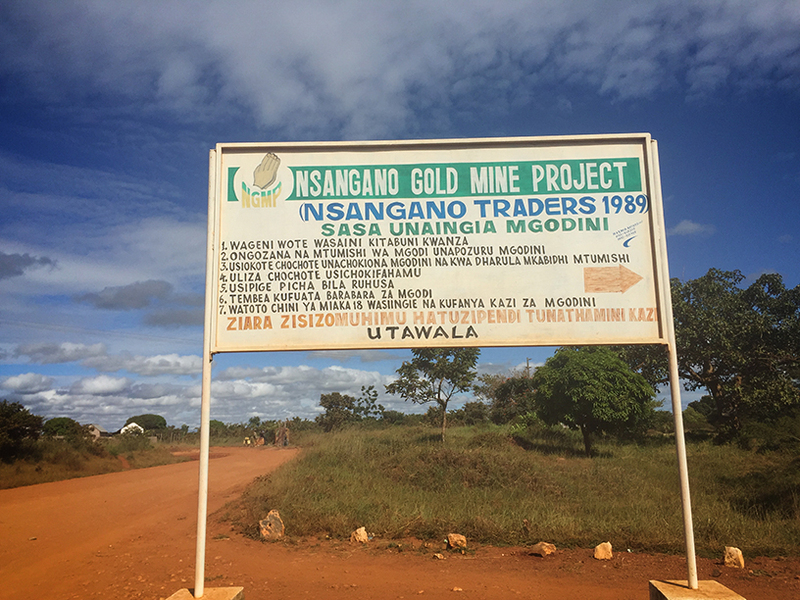 This trust’s board is then meant to allocate its revenue towards welfare-enhancing activities for the ‘community’, which may be made up – in Tanzania’s case – by upwards of 20 villages, which is generally not very effective. On the contrary, community land rights allow individual communities to apply for a particular piece of land, specially zoned for specific economic and conservation activities. The application entails proper land use planning, and the right, once secured, provides a foundation from which future revenue can be generated. Tanzania’s extensive and resource-rich coastal and marine environment supports the livelihoods of millions in the country and is the mainstay of the artisanal fishing industry and coastal tourism. 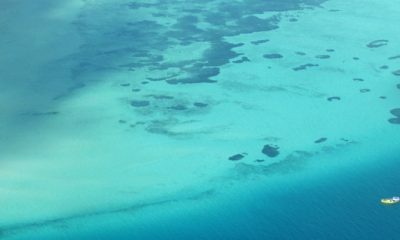 Yet, weak governance, coupled with a growing demand for coastal resources, a changing climate, and the continued use of highly destructive fishing practices is threatening the very base on which coastal livelihoods depend. 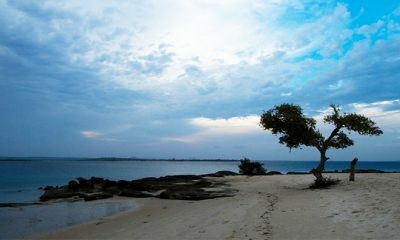 The Mnazi Bay Ruvuma Estuary Marine Park (MBREMP), in Mtwara, was established in 2000 as a conservation tool to protect southern Tanzania’s marine and coastal resources. Marine Parks (there are three in Tanzania) are zoned as a ‘multi-purpose’ areas, whereby communities can continue to reside and fish within the Park boundaries (albeit, in theory, their practices are regulated), and where gas and oil exploration is permitted. 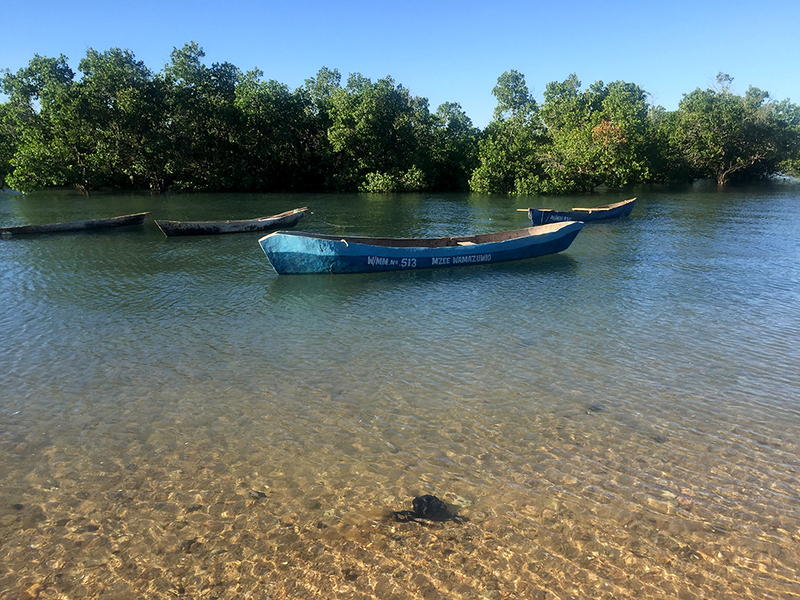 However, despite its conservation area status, the Marine Park is struggling to encourage villagers to respect zonation limitations, adhere to fishing gear restrictions and to adopt more sustainable practices. Illegal and highly destructive practices such as dynamite fishing continue to exist within the Park and its buffer areas and there is virtually no transboundary cooperation with nearby Mozambique. This, coupled with poor monitoring and enforcement, and a rapidly growing population (approximately 44,000 people living within park boundaries) is causing unsustainable levels of resource depletion. At the national level, marine and coastal resource management is not given the priority it deserves, especially in remote areas unable to attractive substantial revenue through tourism. Marine Parks operate off tiny budget allocations and generate only very small amounts of money through Park fees (with the exception of Mafia Marine Park and Dar es Salaam Reserves). Yet these areas need to be urgently recognised for their importance in producing irreplaceable direct and indirect support to local livelihoods. Within this discussion is the need for better community-led management initiatives to assist with participatory monitoring and data analysis. 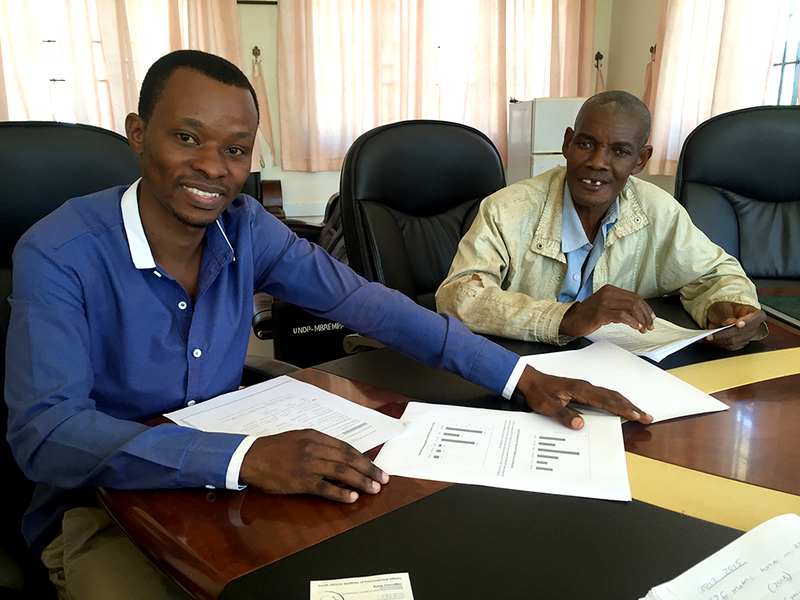 Although Village Liaison Committees exist in Mnazi Bay, further responsibilities (and related financial and technical support) must be directed at villagers living in the vicinity of the Park. Responsibilities can include mangrove and turtle monitoring, eco-guarding of reefs and community-led intelligence gathering and patrols. Regulations need to be determined within local structures by villagers themselves. Also, there is a need to focus on improving livelihoods through alternative economic opportunities – learning important lessons from the long history of unsustainable donor-driven projects in the region. We are very grateful to all the experts and community members in Tanzania who gave generously to us of their time and knowledge. We will produce at least two papers from this work, which we hope will contribute towards strengthening natural resource governance frameworks and fortifying inclusive economic growth at the same time as enhancing landscape stewardship. These papers will be strategically disseminated to key policymakers, and more broadly to all our stakeholders through publication on our website. 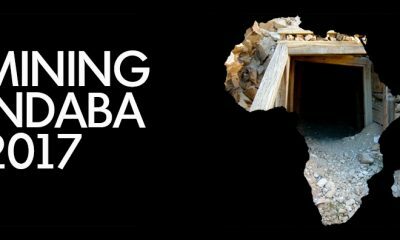 See more from SAIIA’s Governance of Africa’s Resources Programme.